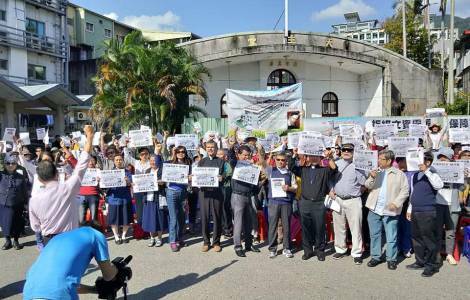 Kaohsiung (Agenzia Fides) - Taiwan – Hundreds of parishioners , together with the Vincentian priests of the Catholic church in Kaohsiung dedicated to St Vincent de Paul, took part in demonstrations to oppose the confiscation of parish property ordered on 30 November by the government of Taiwan. "Our demonstration” Fides was told by Rev Rindo Karippai “intends to oppose a government supported plan to replace parish property with apartments for wealthy people”. The political authorities want to move the parish to another area and use the land for residential and commercial centres.